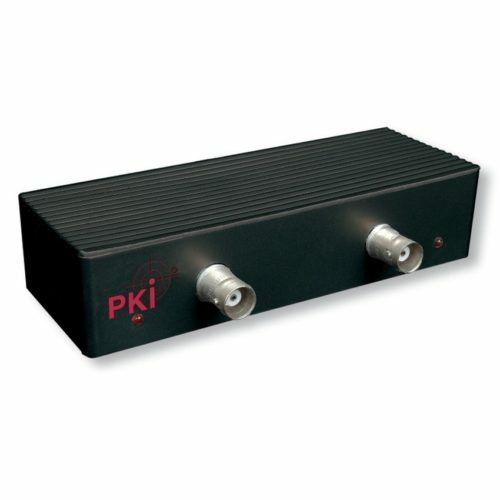 The PKI 6050 Dualband Phone Jammer is designed for the protection of sensitive areas and rooms like offices, prisons, police stations, military camps etc. Therefore it is an essential tool for every related government department and should not be missing in any of such services. The jammer transmits radio signals at specific frequencies to prevent the operation of cellular and portable phones in a non-destructive way, working in the GSM, DECT, DCS and wireless bands. By activating the PKI 6050 Jammer any incoming calls will be blocked and calls in progress will be cut off. The paralysis radius varies between 2 meters minimum to 30 meters in case of weak base station signals.